In 1919, the founders of The New School envisioned a university that “would become the center of the best thought in America, would lead in emancipating learning, and would be a spiritual adventure of the utmost significance.” How do we know this? Where did this quotation come from? For the answers, you can thank the New School archivists. Archives tell us stories. They can provide a less biased look at history, since many of the records contained were not purposefully created for historical research. 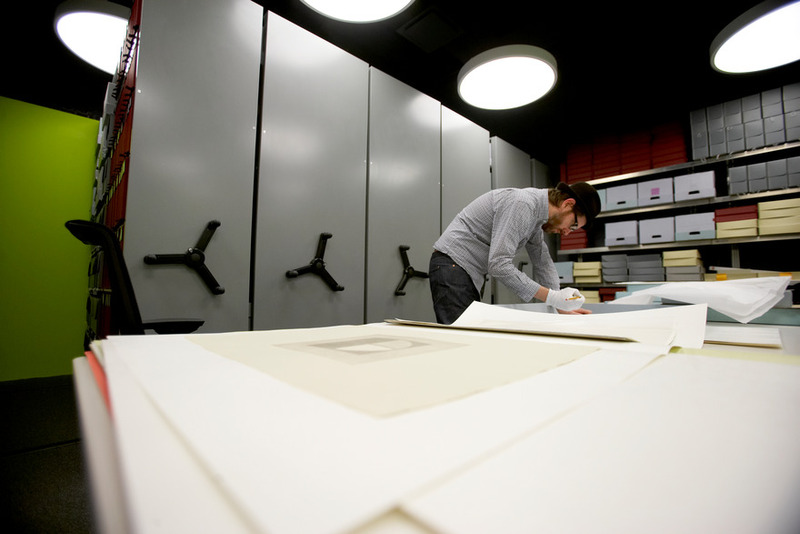 The New School Archives and Special Collections is expansive, covering 100 years of the university’s history. 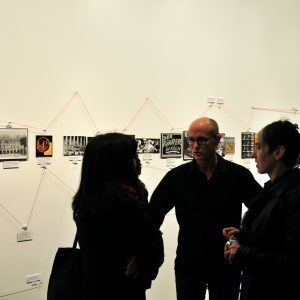 It is a centralized space in which the curious can seek out primary documentary materials that give evidence of what happened at the school through the decades. Wendy Scheir, director of the archives, sees the work of preserving and providing access to the university’s history as playing a vital part in the forward momentum of this university. 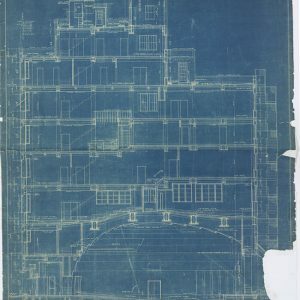 For several years, university archivists have sifted through masses of materials — blueprints, letters, speeches, event flyers, brochures, course materials, student work, reports, and more — and arranged them into 341 collections that place the materials in the context of the time when they were produced. The archivists catalog a vibrant history through their work, which never ends, as new material is constantly developed or unearthed. 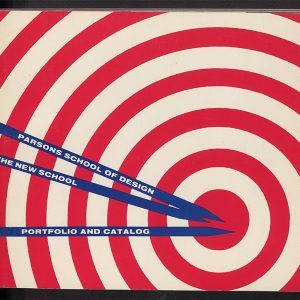 The collections have been central to planning for The New School’s Centennial, providing inspiration and information about the past that help shape the year-long celebration. 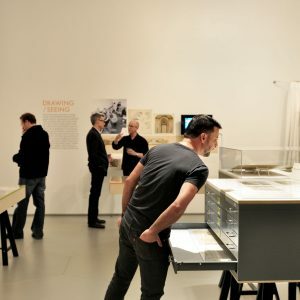 “Many projects are using the archives for the Centennial, including a Parsons narrative design class, which will create a Centennial-related student exhibition during the spring 2019 semester. 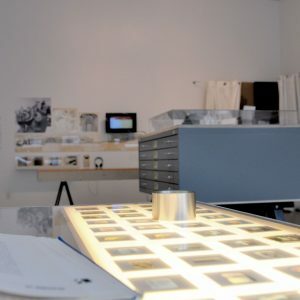 We’ve also heard from two artists who are submitting proposals for archives-related projects for the Kellen Gallery Centennial exhibition.” The archives are also vital to ongoing research projects like the New School Histories website, a forum in which students, staff, faculty, alumni, and researchers explore and question the university’s past. 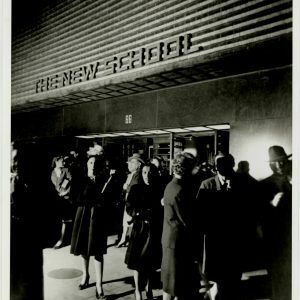 While the archives fill a crucial need at the university, their creation, like many projects at The New School, happened organically. 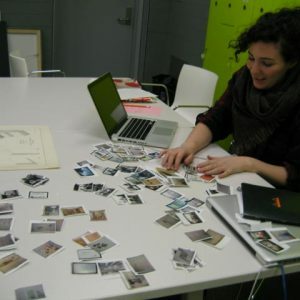 In 2008, Scheir was hired to lead the Kellen Design Archives, documenting Parsons history and building its design-related collections. As the first official archivist on staff, Scheir soon began hearing from faculty and staff across the university who had old blueprints, speeches, course catalogs, and other materials they knew shouldn’t be thrown away but didn’t know what to do with. “Shortly after I started, it became evident that there was a real need for a New School archives. As the first professional archivists at the university, a lot of people started coming to us with information. For example, the old social sciences library had collected lots of material but didn’t have available staff to properly care for it,” said Scheir. 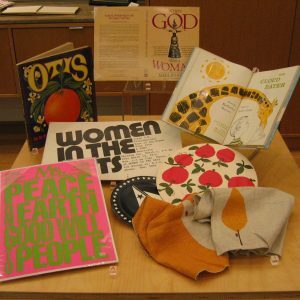 The New School’s openness to new ideas allowed the archives to evolve and fill this important niche. 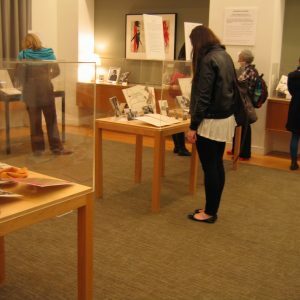 In 2012, the university library system was undergoing a reorganization, which provided the perfect opportunity to transform the Kellen Design Archives into a collection that would encompass all the schools. “That year, the libraries were organizing around functional roles rather than by school. At that point, we took the opportunity to retitle the archives and create a more formal structure for an archives that represented the entire school.” The department now includes four professional archivists, who manage records for all of The New School. 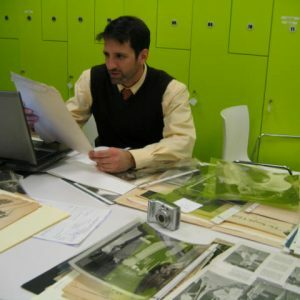 With the digitization of the archives, anyone with an Internet connection can access New School history without having to travel to the physical site. While it is possible to digitize everything, that is not the archives’ plan. 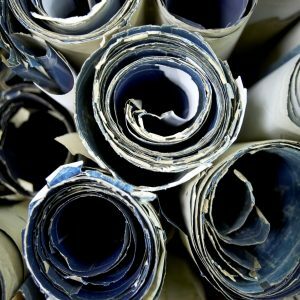 “There are over a million pieces of paper in the archives. Our focus for digitizing is to select materials that we know will be meaningful to a large number of people,” said Scheir.